Baptism is the Sacrament through which we become members of the Church and children of God. The Sacrament of Baptism is administered on the first Sunday of each month (effective October 2012) following the 11:00 a.m. Mass. A Baptismal Seminar is held on the last Monday evening prior to the Baptismal date. Both parents must attend. You must be a registered parishioner of St. Andrew the Apostle Parish in order to have your child baptized here. If you had a child baptized in the last 3 years, you do not need to attend the seminar. Please contact the Rectory Office to make arrangements at 504-393-2334. Please click Baptism form to view and print. The Sacrament of Reconciliation is the sacramental celebration in which, through God’s mercy and forgiveness, the sinner is reconciled with God and also with the Church. It heals people wo are spiritually sick and helps us not to sin again. 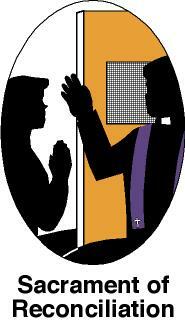 Reconciliation is also known as Confession or the Sacrament of Penance. Confessions are heard on Saturday afternoons from 3:00 p.m. – 4:15 p.m. or by appointment. Please call the Rectory if you wish to arrange for a private confession.The Sacrament of Reconciliation is made through the Religious Education Center. If you would like additional information, please call the Religious Education Office at (504) 393-0140. 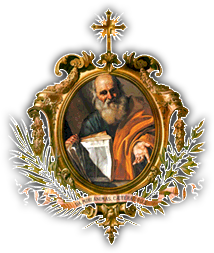 If you are a parishioner of St. Andrew the Apostle Parish, who is unable due to health reasons to attend church, please call the rectory in order to have one of our Eucharistic Ministers bring communion to you at your home. Please make sure you give your complete name, address, telephone number, and make sure you state that you want to be added to our Shut-Ins List. 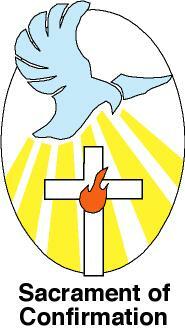 In Confirmation we confirm the promises made on our behalf in Baptism. It helps us to focus on the missionary dimensions of our baptismal commitment. A Candidate for Confirmation must be in the eleventh grade or older. Students or adults, who are registered parishioners, that wish to be confirmed may contact the St. Andrew Religious Education Center. Christ instituted the Sacrament of Matrimony and taught that it is a covenant between a man and a woman and should be permanent until death. Preparations for marriage must be discussed with a parish priest at least six months prior to the tentative wedding date. For more information please contact Mary Ann Dallam at (504) 393-2334. 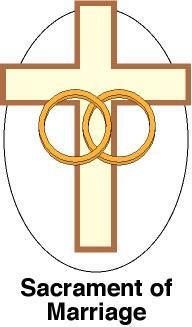 Holy Orders are at the service of the Church Community. It is received so that the recipients may dedicate themselves toward the salvation of others. Only baptized men may receive the Sacrament of Holy Orders. Anyone interested in studying for the Priesthood may call the Rectory office or contact the Vocations Office of the Archdiocese of New Orleans. Anointing of the Sick heals and saves the baptized person from sin. Those who are impaired by sickness or old age may receive this sacrament. Please call the rectory office, (504) 393-2334, to make the necessary arrangements. Funerals witness the mystery of Christ’s life, death, and resurrection. In Baptism we have become one with the Risen Christ, and through death we will pass with Him to eternal life. The family should contact the rectory as soon as possible, prior to making final funeral arrangements with the funeral home of your choice. The funeral home will contact the rectory to finalize all arrangements. The St. Andrew Bereavement Committee exists to express the Parish’s sympathy in a direct way and to offer tangible support at the time of death of a family member by offering house-sitting or food preparation during the funeral service.